When it comes to dressing well, you need to wear the right styles. 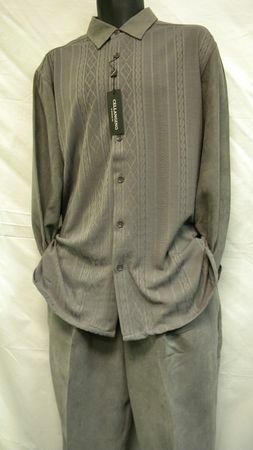 A knit front style walking suit by Cellangino can make that a reality. Featuring a sharp looking knit front with grey color micro suede fabric balancing it all out. This 2pc outfit has the style you want to wear with your Stacy Adams. The pants come pleated and baggy.